It’s not often you can nab discounts on brands like NARS, Bare Escentuals and Benefit so make the most of it! 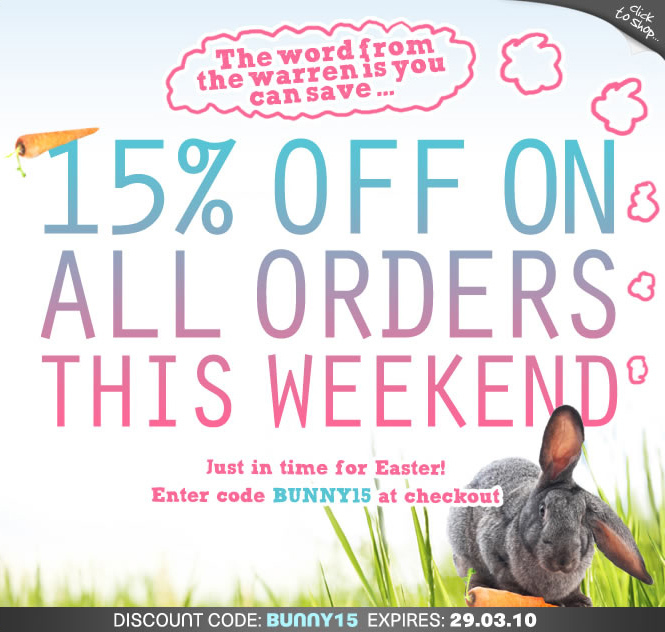 Enter code BUNNY15 at checkout for 15% off all orders at HQ Hair this weekend. Code expires 29/03/2010.